A filly with terrific substance, her sire, Not A Single Doubt, by Redoute’s Choice, the most acclaimed sire son of world record stakes producing stallion Danehill, stands for A$99,000 at Arrowfield Stud, Australia. Already this season, Not A Single Doubt has sired 15 stakes winners and established huge increases in his yearling sale prices over the past few years. Not A Single Doubt is inbred to immortal sire Northern Dancer, and the filly carries a Northern Dancer cross through the sire line of her dam, Bewitching. “Not A Single Doubt is doing a really good job at stud, especially with his two-year-olds that exude his strength and given his service fee she is very good value,” said Te Akau principal David Ellis. From a young mare, grand-dam Midnight Babe, a daughter of the influential quality sire Kaapstad, a son of legendary stallion Sir Tristram, was a fast multiple stakes winner that also finished second in the Queensland Oaks (Gr. 1, 2400m), who in turn is from a stakes winning mare. 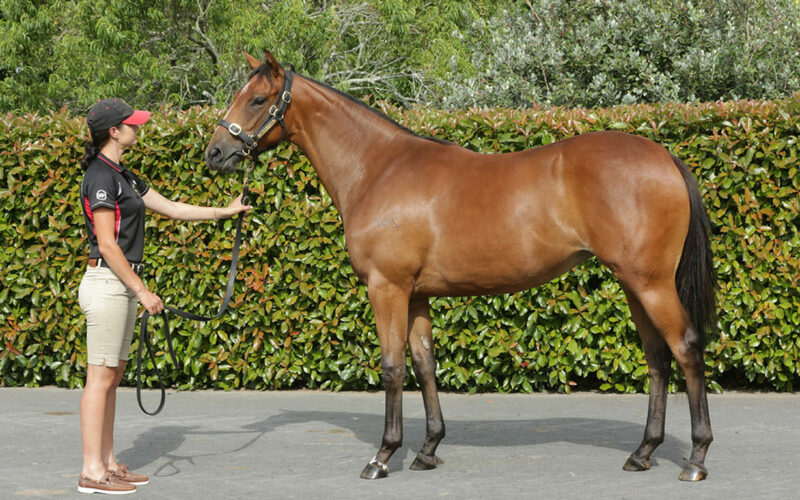 The family includes Karaka Million (Restricted Listed, 1200m) winner Hardline and Wakefield Stakes (Gr. 2, 1200m) and 1000 Guineas (Gr. 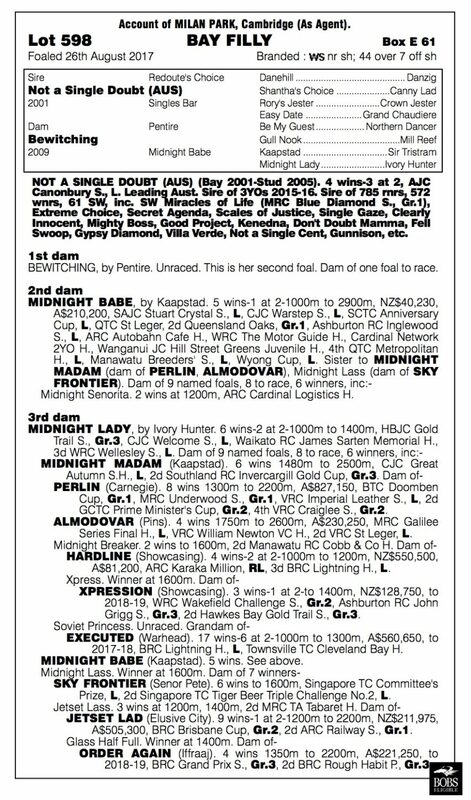 1, 1600m) placed Xpression, both Showcasing, and Brisbane Cup (Gr. 2, 2200m) winner Jetset Lad.